I can identify 3 historic figures in this set: Frederick Douglass, Harriet Tubman, and John Brown. Are there anymore I have not identified? This is a great looking set and is on my list to add to my collection. Thank you for making sets like this and the Slave Auction to provide the broader picture of the Civil War as the Second American Revolution. 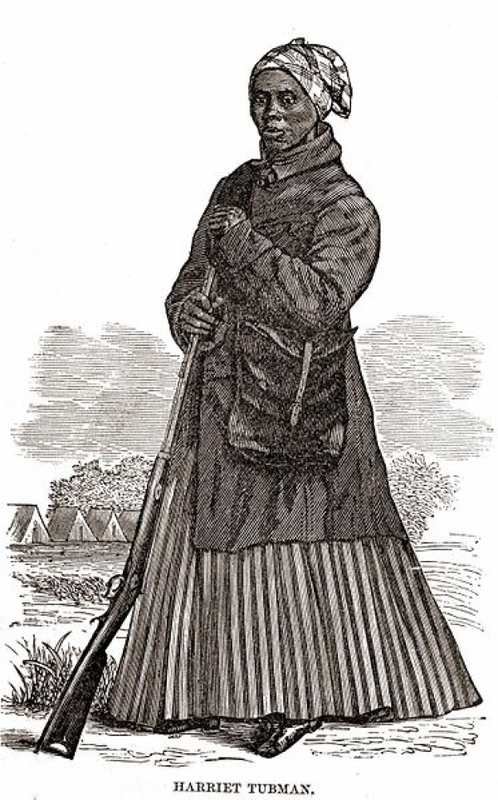 Here is the historic print of Tubman with her rifle that inspired your figure I am sure. Those are the only 3 "personality" figures in the set.